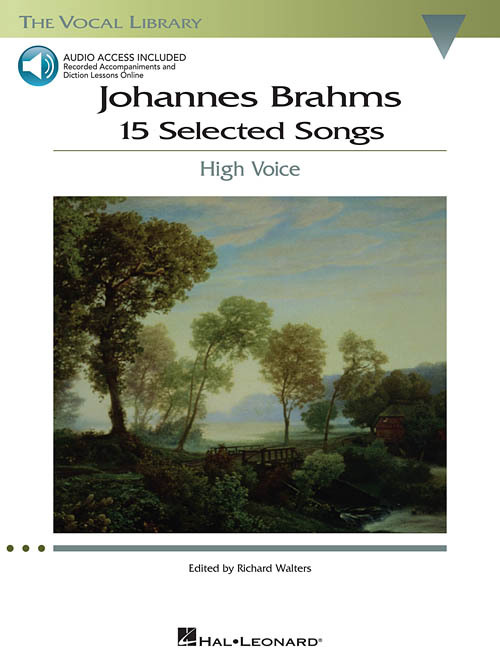 with CDs of diction lessons and piano accompaniments; includes historical notes, translations and International Phonetic Alphabet With diction lessons recorded by Irene Spiegelman, German diction coach at the Metropolitan Opera, and piano accompaniments recorded by Laura Ward, this collection of the most often taught Brahms songs is an excellent introduction to lieder. The diction for each song is recorded twice: first recited as an actor would speak it, showing flow of the language and mood, followed by a slow, deliberate lesson, allowing time for the student to repeat each line. This experienced language coach adapts the R in German in the slow versions as recommended for classical singers. She is also very sensitive to liaisons between word sounds in the musical settings.